Managing IT Projects is the bread and butter of technology project management. However managing technology projects effectively is fraught with difficulty. This is particularly the case with the larger IT projects and programmes which tend to have serious problems with project time and cost. Oh and with clearly defining project scope as well! No doubt this may well surprise you. After all, surely if you follow the project management basics, managing IT projects should be straight forward. If only! The issue is that on paper anything can seem simple, but when you actually have to do it for real, then the problems are encountered. Now this should have been gradually refined from project business case, through the project justification document (PJD), with the final version of the project scope statement included when writing a project initiation document. Of course that is the theory. In practice you will find that a key part of your project manager duties is enforcing change request management in order to avoid scope creep. On many large software development projects this turns into a losing battle with the consequential failure of the project. Most technology projects will have a project quality plan which enables the project manager to institute effective project quality management. The problem is that when the crunch time occurs on project it will be a toss up between timeframes or quality. Usually it is determined that the project quality can suffer in order to enable the project to launch on schedule. The budget for the project usually takes a real hammering particularly during the latter stages of the project management life cycle when the software application testing is taking place. Whilst this previously would not have been much of a problem, in these credit crunch times, any overspend in the project budget is a major problem for the simple reason that Organisations often simply dont have the funds available. Of course this means that the project cost controls implemented need to be robust to ensure this doesnt happen. 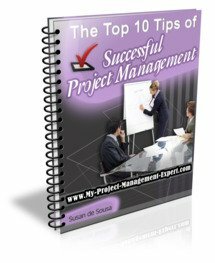 Successfully managing project teams is a key skill for any project manager to possess when delivering IT Projects. It also sounds much easier than it is. But the reality is that unless you get on with people, and are able to effectively institute project communications which enables you to talk to everyone from project management stakeholders to techies involved in the process of software development then you arent going to get far in IT project management! To be able to effectively manage IT projects, you need to have a wide combination of skills. Those which are specific to this area include the ability to be technical enough so that you can quickly grasp the concepts of technology problems which occur, whilst also having the soft skills of effective communication and leadership.